Bones are the main support system of the whole human body. This is why it is important to keep them strong and healthy. Many, if not most, of the bones in our bodies, are continuously being broken down throughout our lives. 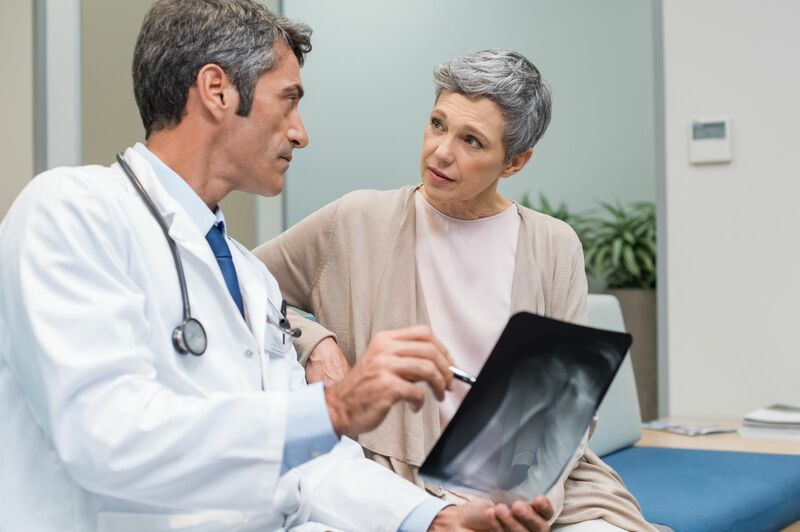 In fact, around the age of 30, our bones reach peak bone mass (however, the 30 years average is a mean number and exact estimates typically vary, from individual to individual). Until 30 years, the human body continues to create a new bone a lot faster, but after the age of 30, the overall bone building balance slowly and gradually shifts and as a result, a lot more bone is lost, rather than gained. Here, it is important to remember that the less bone you have built, the less you will have in your ‘bone bank’ since the body cannot create fresh bone as quickly as the old bone structure is lost. A condition known as ‘osteoporosis’ may be the almost inevitable result. This condition causes bones to become considerably brittle and prone to fracture more easily. It is basically a ‘geriatric condition’ and is more common in elderly people, rather than youngsters. Both calcium and vitamin D work together to help our bodies absorb essential amounts of bone increasing calcium. It is possible to increase vitamin D consumption by eating shrimp cereals and drinking orange juice. Eggs are also a great source of calcium too. Apart from that, the body itself also produces copious amounts of vitamin D when one is exposed to the sun. But that does not mean that you sunbathe in the blazing mid-day heat. On the contrary, approximately 15 minutes of early morning exposure, about three times per week, will do what is needed. While this vitamin is primarily associated with blood clotting, it can help the body create more proteins for healthy bones. As a general rule, Vitamins D and K make a great combination for combating brittle bones, especially in old age. Vitamin K is generally found in green leafy vegetables such as spinach and other foods like Swiss chard, kale, and broccoli. Regular exercise is widely considered being the key towards keeping a whole number of health issues (such as osteoporosis, for instance) at bay, and here the overall health and strength of your bones are no exception. As a matter of fact, living a sedentary lifestyle (of the kind that is the hallmark of the 21st-century urban office-goer) means increasing the risk factor for osteoporosis, considerably. Here, it is pertinent to note that athletes with correspondingly low body weight have higher bone density than other people. Weight-bearing exercises such as running, jumping rope, brisk walking, or skiing and even stair climbing can keep bones strong and healthy. While caffeine has a few health benefits, but too much coffee can have an adverse effect on the body’s own unique ability to absorb a certain amount of calcium. In the long run, this means that it can lead to a steadily increasing rate of bone loss. This is why it is advisable to cut back on your coffee intake if you want to make sure that your bones do not become weak or brittle, later on in life. The more you smoke, the more the chances of you losing your bone mass in the long run. Many studies have consistently shown that smoking actually prevents the human body from absorbing calcium effectively and thereby, decreasing overall bone mass. The key problem with heavy alcohol consumption is that it can easily cause bone loss without the heavy drinker even realizing that it is happening. This is because it interferes with vitamin D absorption, in the body. This does not mean that one should become a strict teetotaler for the rest of one’s life, but, it should definitely give you another pause for concern if you are already a heavy drinker, as it is. Calcium and bones have been ingrained into us since grade school. This is a vital mineral for the proper development of teeth and bones, especially when it is paired with Vitamin D. if you don’t want to end up with shoulder conditions or joint fractures, make sure you consume enough calcium. It is very important to understand that the different remedies are not just stop-gap measures, as such. But rather they are very important from the point of view of being complete ‘lifestyle’ changes. You have to be consistent with following them up and incorporating them into your overall lifestyle. Otherwise, they would prove ineffective in fixing weak and brittle bones. Physical exercise is the real deal here. Nothing beats it. This modern lifestyle has made it incredibly difficult to stay physically fit. I wonder how it's going to be in the next 100 years.